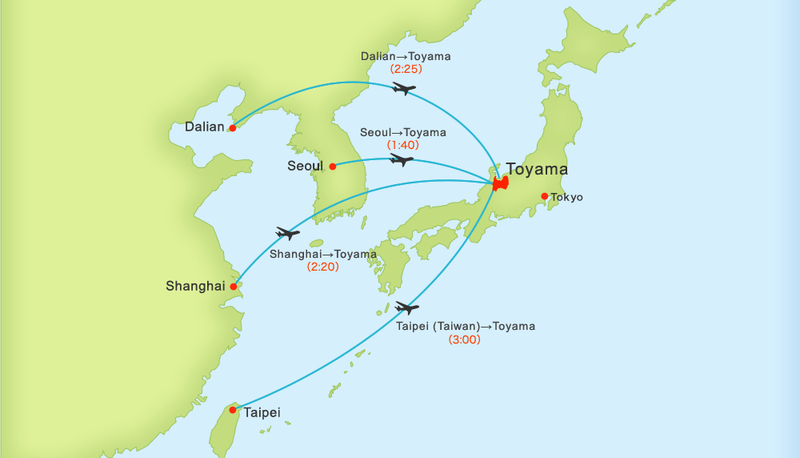 Toyama is almost located in the center of Japan. The Hokuriku Shinkansen line is scheduled to be opened in March 2015 and it will shorten more with the Tokyo- Toyama trip to 2 hrs 7 min. 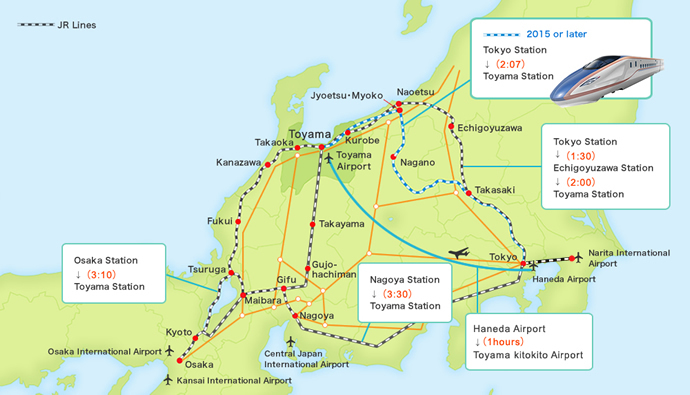 Toyama Airport is one of major airport of Northwest Pacific Region and an aviation network of East Asia. A direct flight goes into service between 4 cities of Seoul, Dalian, Shanghai, Taipei.